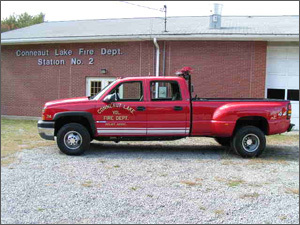 Unit 714 is a 2005 Chevrolet 3500 4X4 crew cab utility vehicle. Unit used for firefighter transport, traffic control and boat transport. Used at fire & rescue scenes for equipment retrieval and transport.